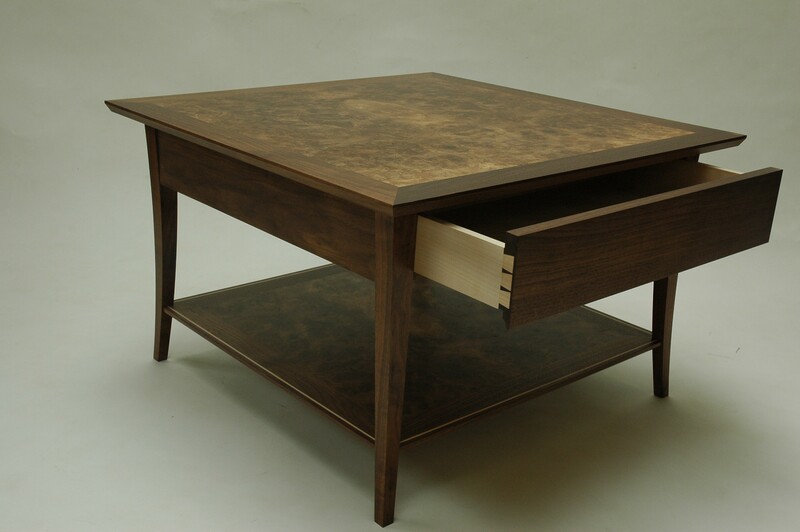 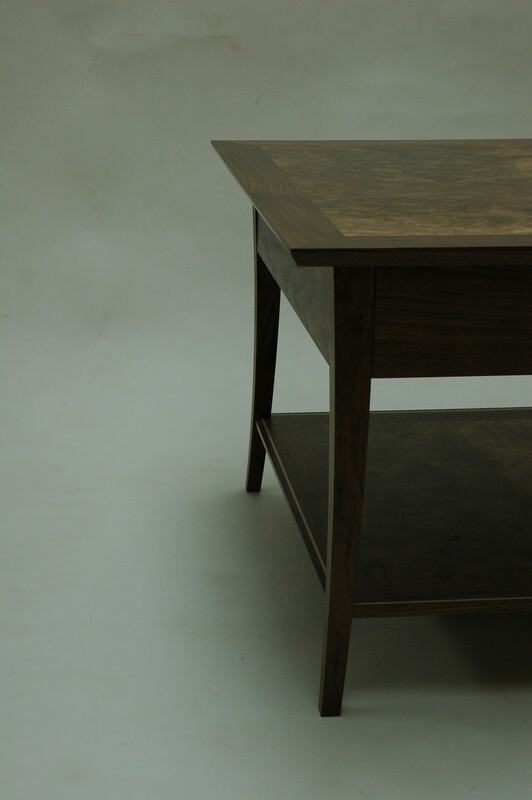 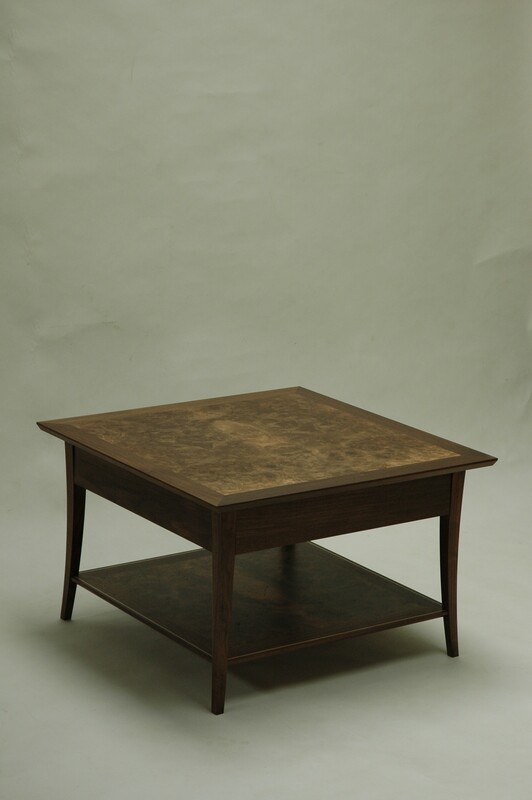 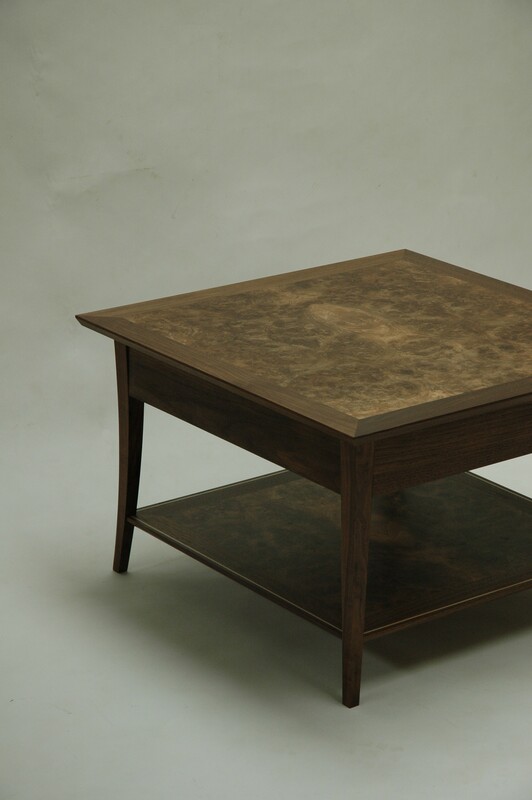 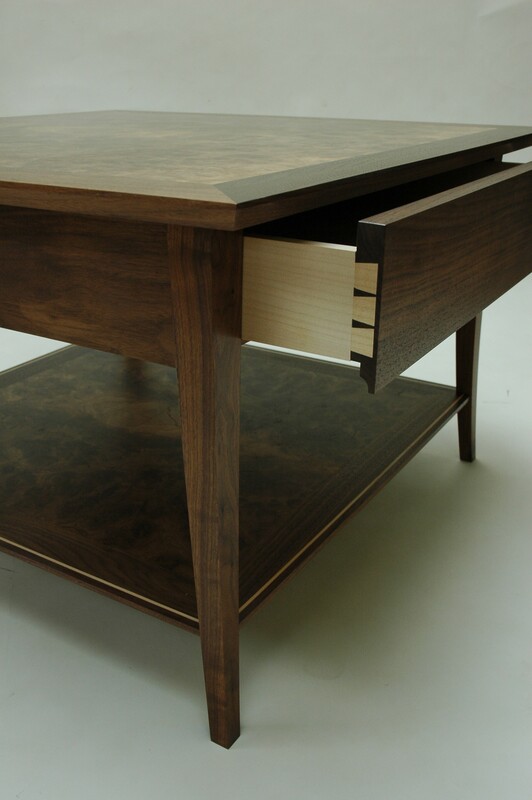 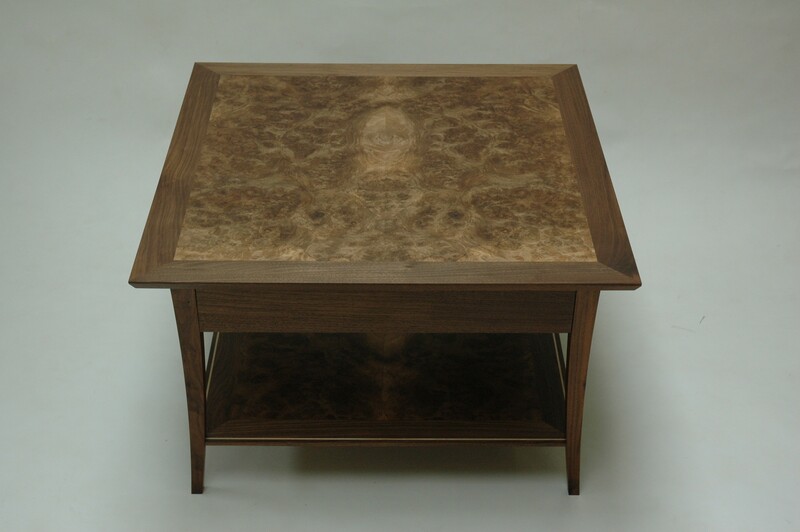 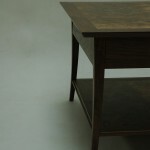 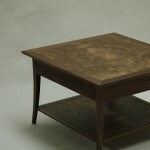 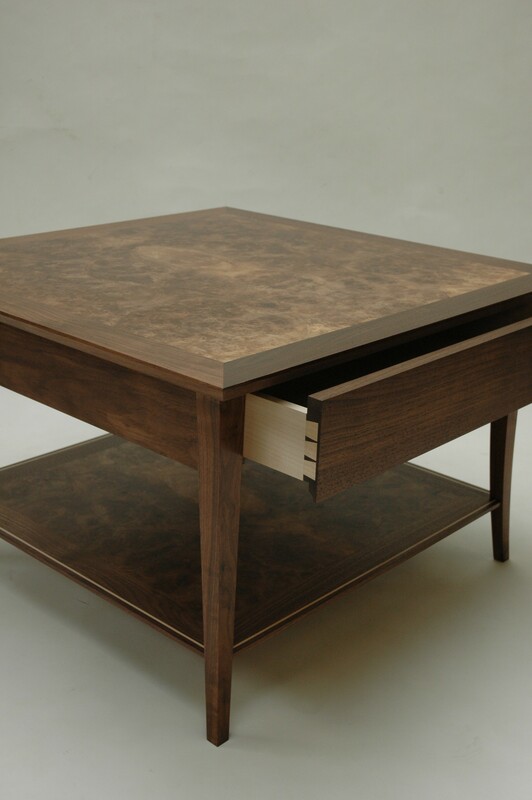 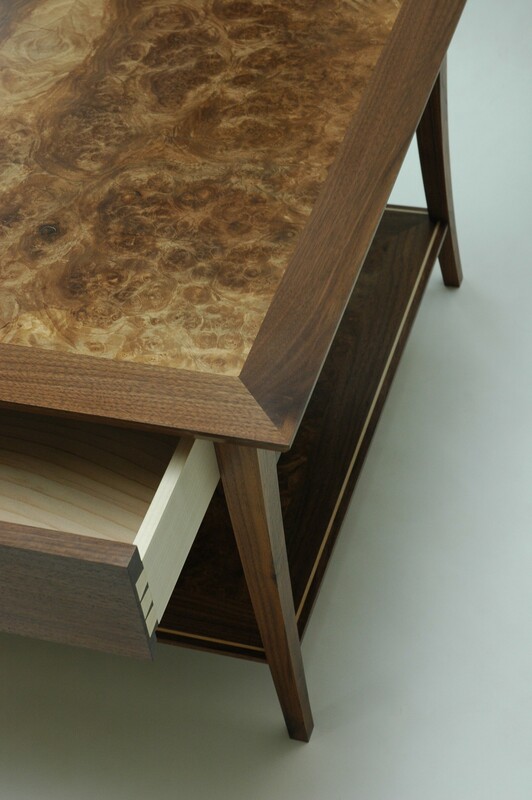 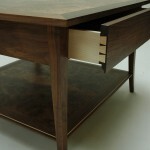 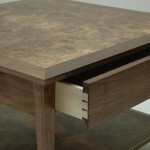 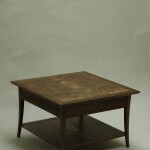 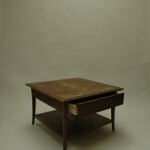 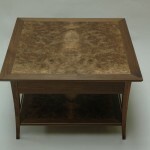 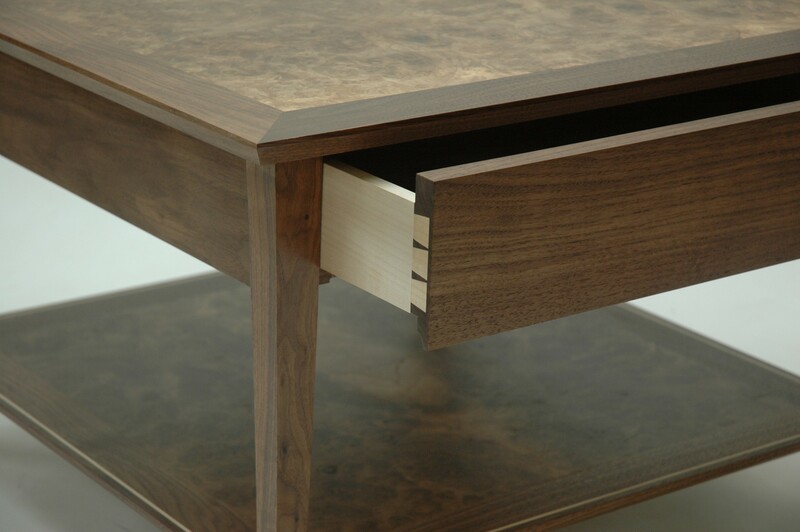 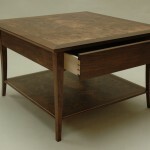 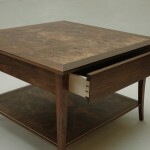 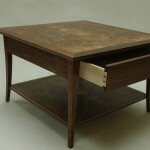 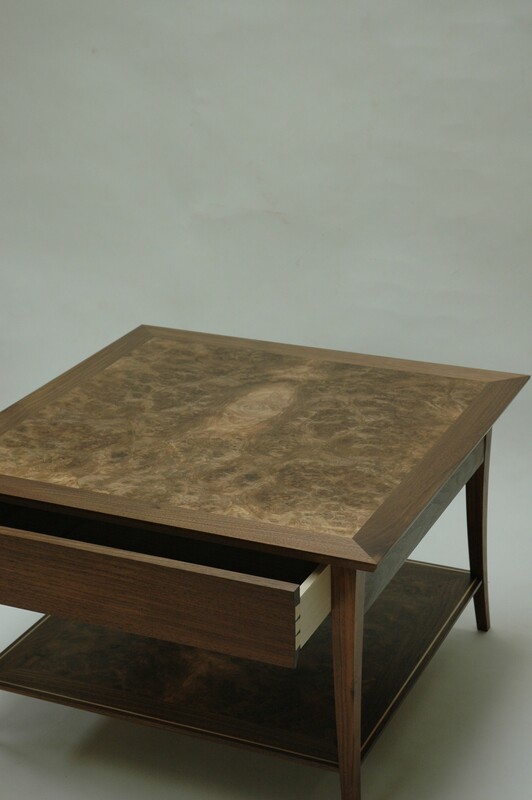 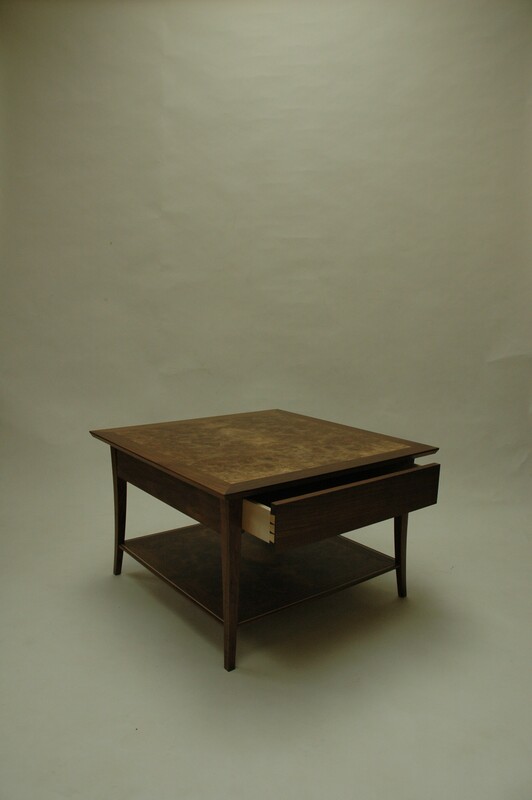 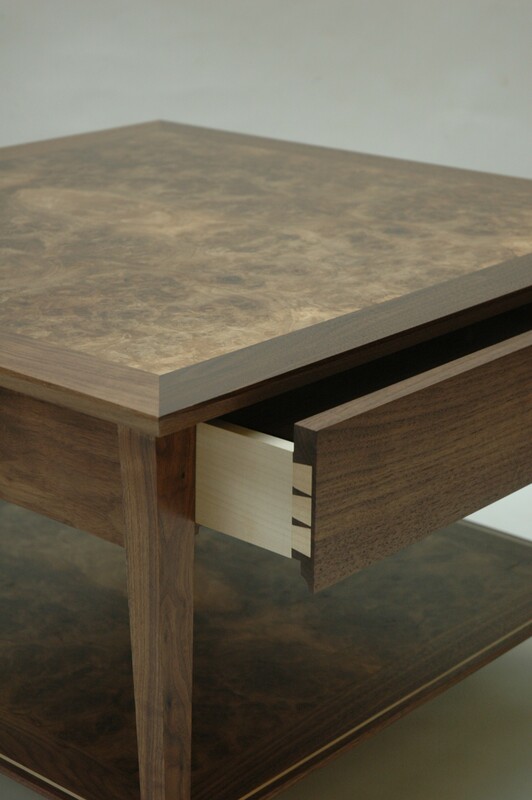 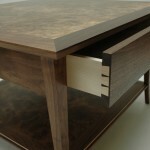 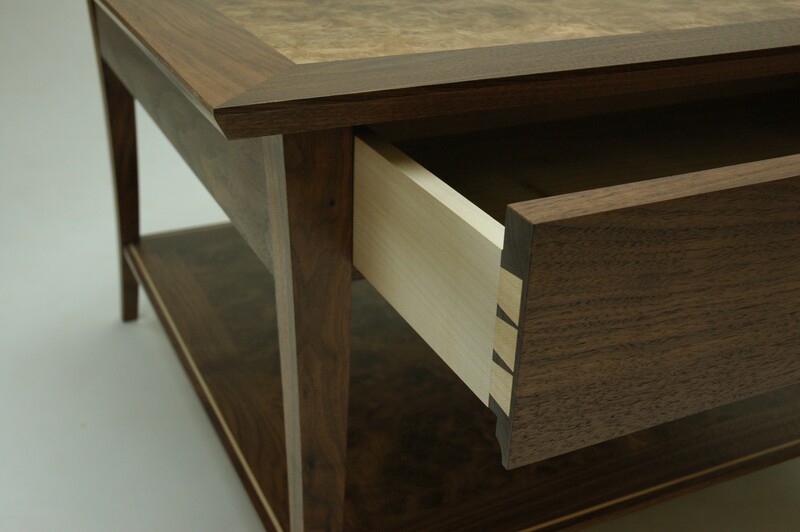 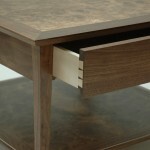 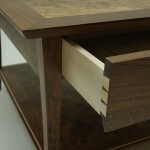 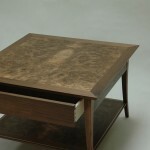 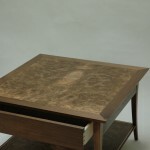 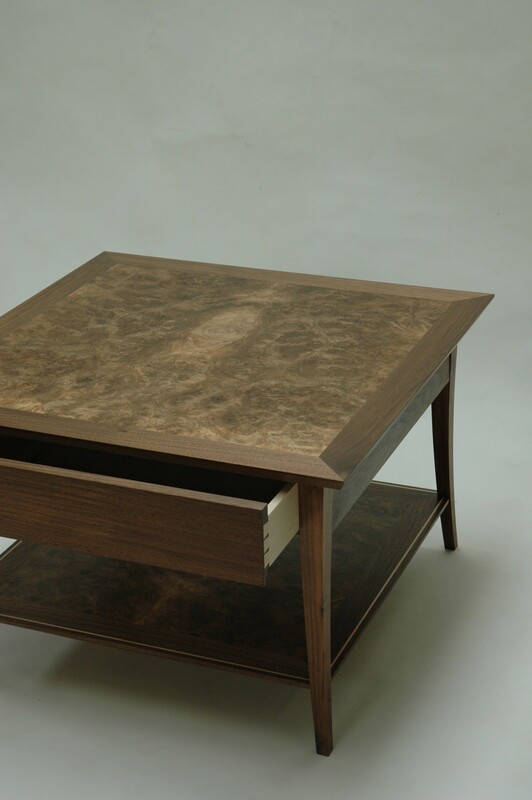 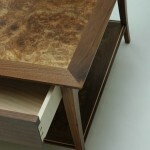 A coffee table in American black walnut, European burr walnut and sycamore. 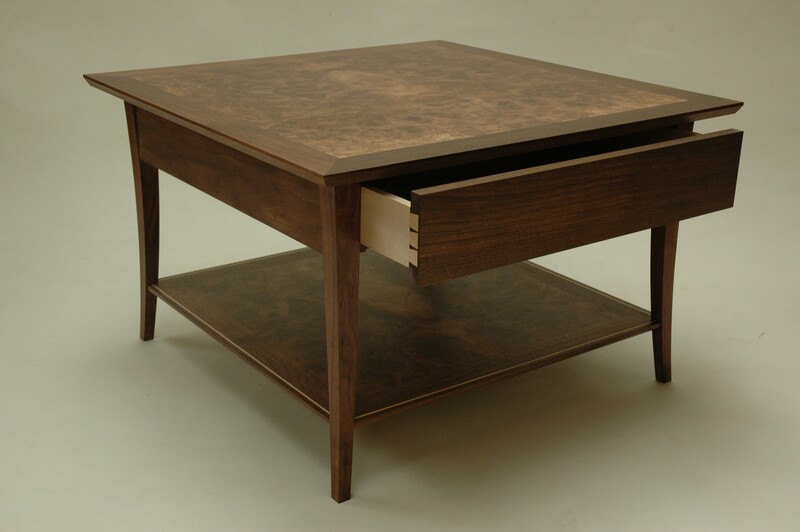 Designed and made as a wedding gift, paid for by the wedding guests. 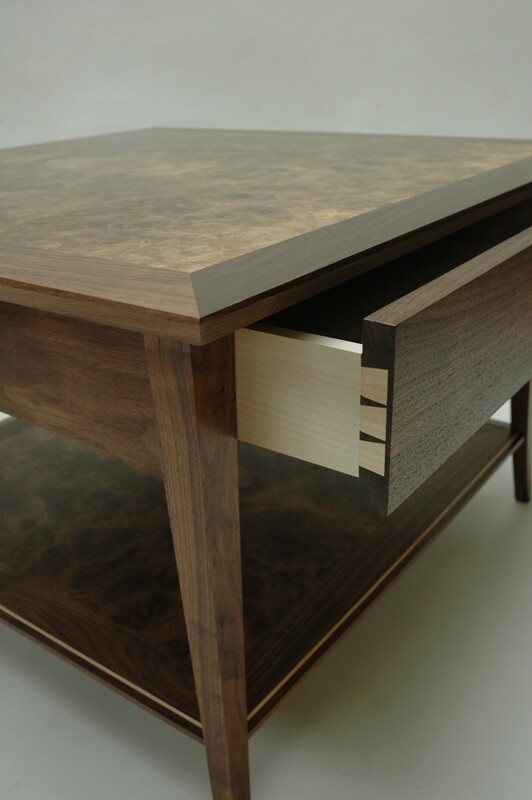 A privilege to make.